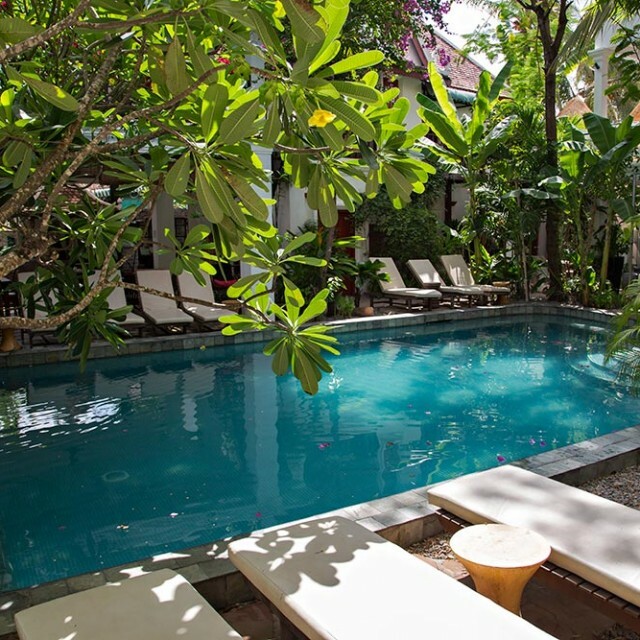 Hotel Review: Nature Lodge & Angkor Forest Lodge In Sen Monorom. | Travel Photography Blog by Nisa Maier and Ulli Maier. If you arrive in Sen Monorom (from whatever direction), you’ll most likely be tired and keen to find a room. We for our part went straight to the Nature Lodge, a bit outside to the East of the village. We were quite happy to book ourselves into one of their nice bungalows with outdoor bathroom and a nice terrace overlooking the area. The place is really great, clean, with good food and helpful staff. Our little bungalow at the Nature Lodge in Sen Monorom was comfy and idyllic. 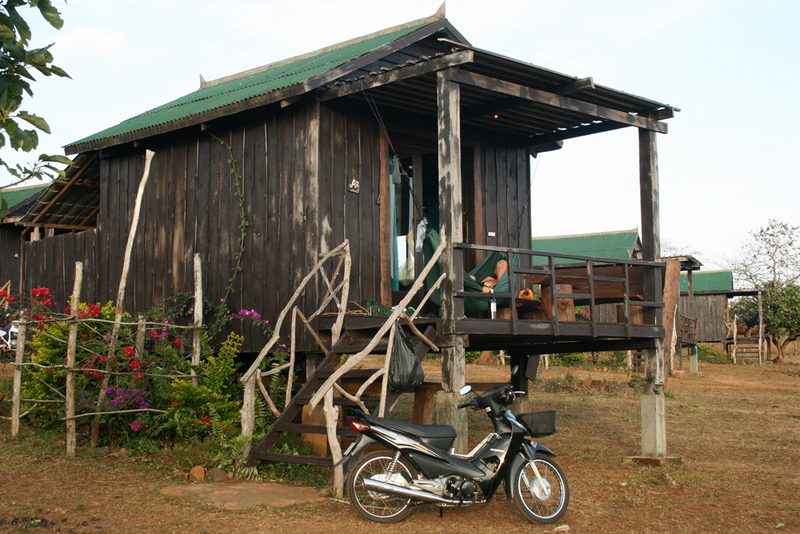 The Nature Lodge was established in 2006 as one of the first ecologically friendly guest houses in Cambodia. 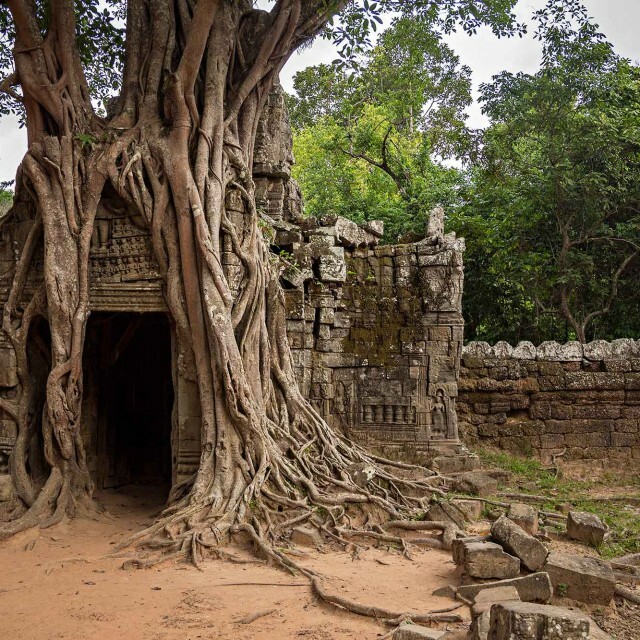 And then we found the Angkor Forest Lodge. We were up for exploring the area. Of course, the waterfalls were a must and with our motorbikes they were easy to visit. At one point we set out from the Southern tip of the airstrip to the West to look for the waterfall. We drove and drove but obviously we had missed it; so we said that we’ll just follow the road and look what’s coming. And then there it was; from the road we could only see a huge entrance gate with concrete elephants to both sides. 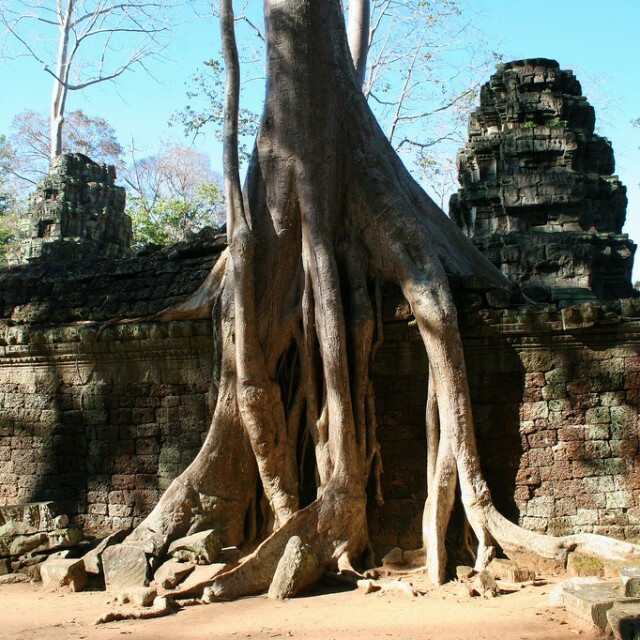 There was a huge parking ground, maybe 2 cars standing there and a sign saying “Angkor Forest Lodge”. Until today, I couldn’t find any website or information about this lodge…but as you can see, it does exist. Driving closer there was a huge “tree house”, built only with drift material from the area, like roots and branches. We stopped and went inside. It was a huge restaurant area, all open air with a gentle breeze flowing through, swinging chairs, hammocks, private resting corners, absolutely stunning. Asking a waiter, we heard that the whole complex belongs to a Cambodian man, who wants to create something really unique (we reckoned he has been to Disneyland at some point and wanted to do the same in his country). There is a huge pond in the process of being built, not ready yet but you can see the effort. Bungalows are standing around which all have unusual shapes, some built as suites (means 2 storeys with beautiful decoration), others have 2 rooms separately to rent. After enquiring we were told that the place is at the moment often used for big wedding receptions. 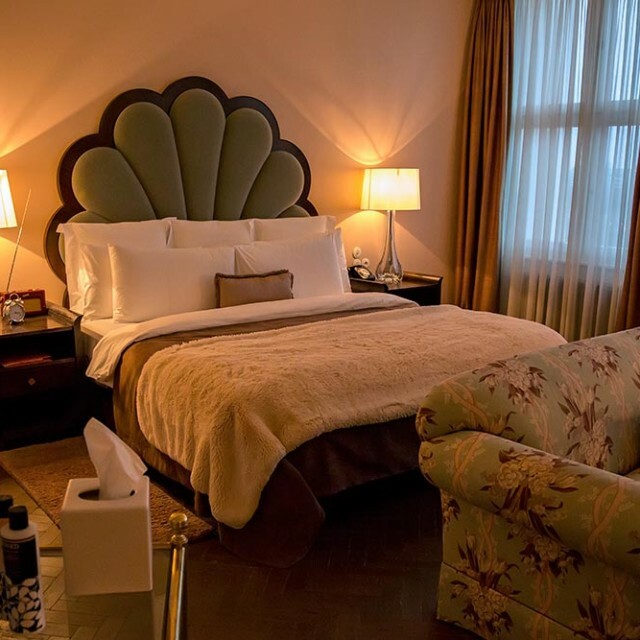 The rooms are all very reasonably priced. I think it was something around 25 Us $ per bungalow, so the next time we’ll pass through Sen Monorom it will be the Nature Lodge for our good night sleep. 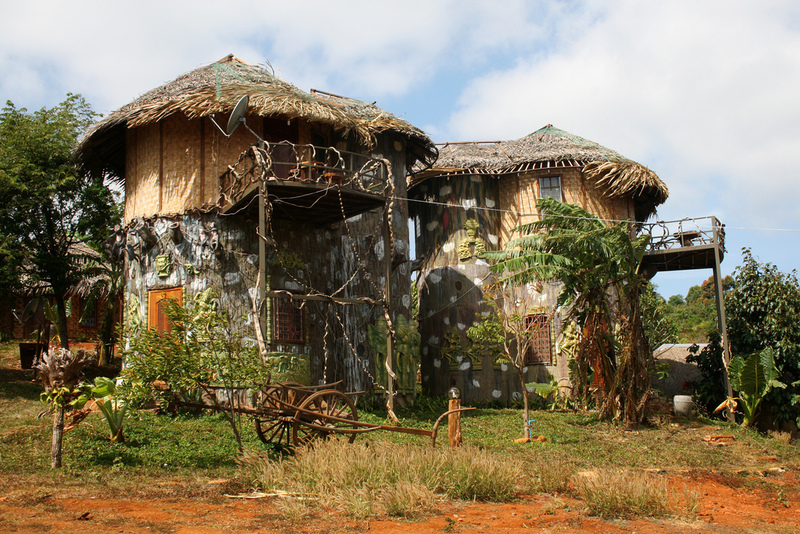 The “Tree house” hotel in Sen Monorom, Cambodia made quite an impression, yet until today, we have not been able to come across an official internet site for bookings/enquiry. 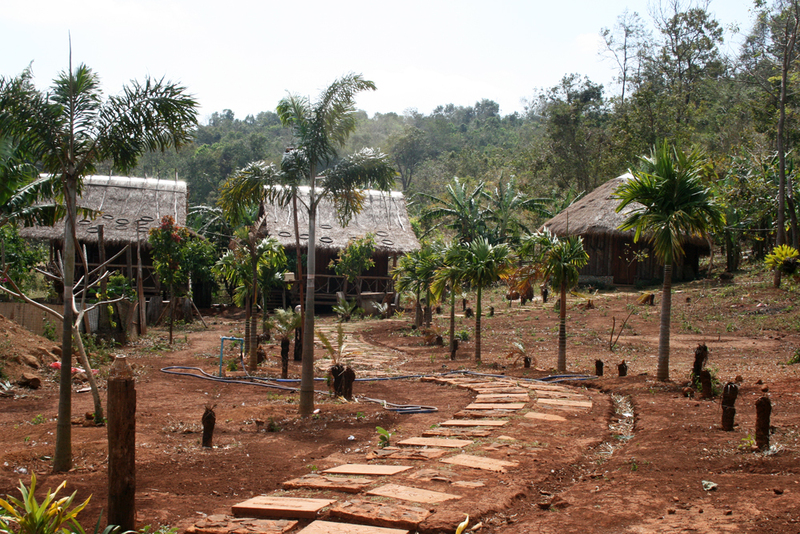 The little cottages of the Angkor Forest Lodge look very idyllic. 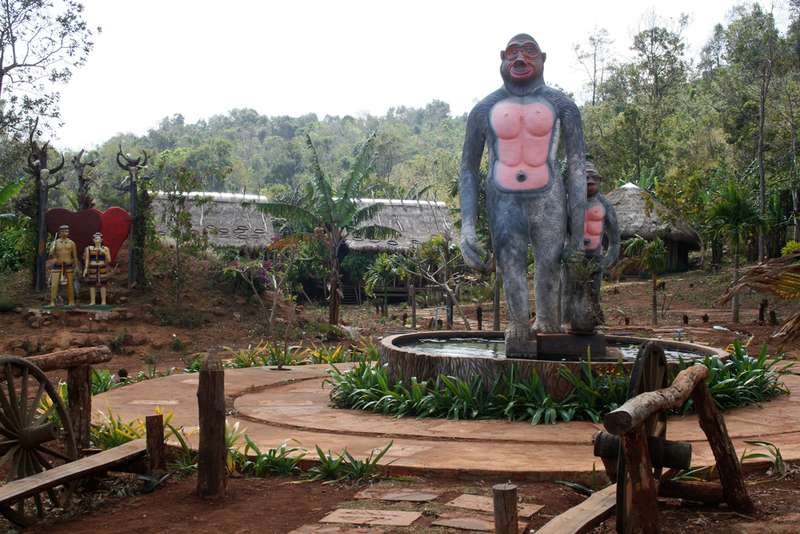 The huge King Kong statue in the centre of the Angkor Forest Lodge is yet another interesting sight.